"Joseph's Coat", like the coat of many colors. This is one of my signature pieces. 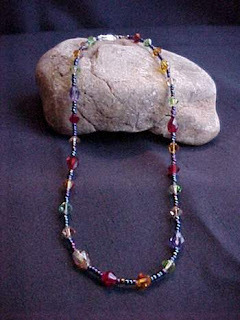 This necklace is made of multicolored Swarovski * Crystals & purple colored seed beads.